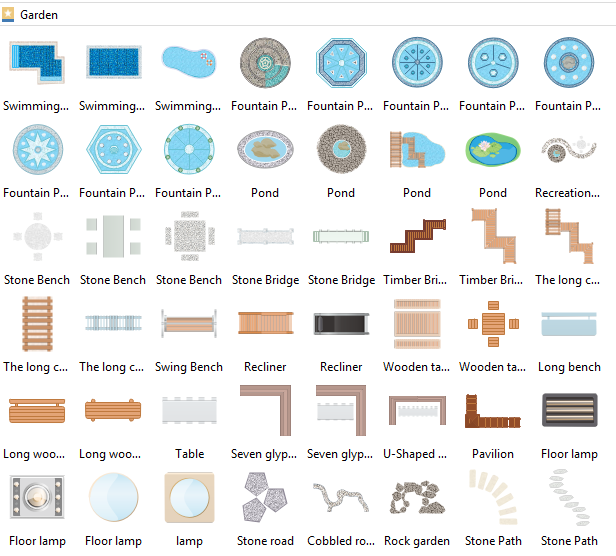 Pre-drawn garden design symbols represent pavilion, umbrella, lawn, rock garden, stone road, stone, flower and stone, wood fence, wood gate, wood post, etc. These symbols help create accurate diagrams and documentation. 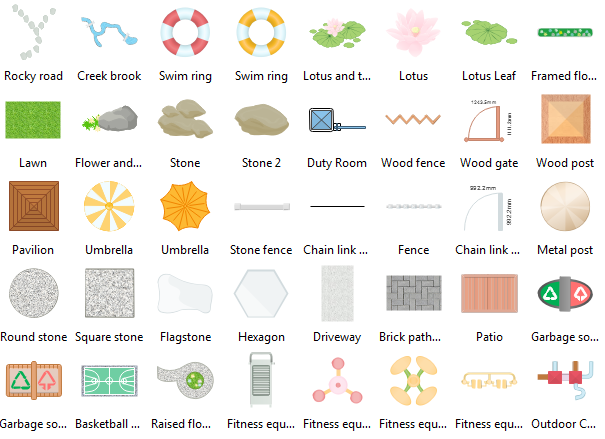 There are lots of garden design symbols like pavilion, umbrella, lawn, rock, garden, stone road, stone, flower and stone, wood fence, wood gate, wood post, masonry fence and more.These shapes are of great help when you design your perfect garden. The above garden design symbols will be a good assistant for you when you draw the garden design for your own private house or pulic place. No matter how large or small the available space is, if you use the space wisely to make the garden design, you will surely get surprised at what our garden design software and its built-in garden-design symbols can do. Pavillion is a summer house or other decorative building used as a shelter in a park or garden. 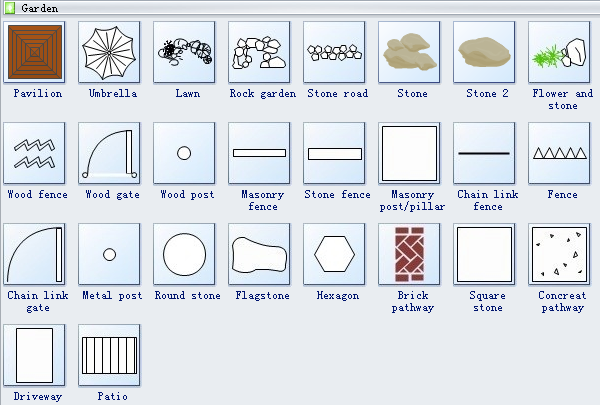 Stone fence is a stone barrier, enclosing an area of ground to prevent or control access or escape. Brick pathway, as its name implies, is the pathway made of brick. It makes your garden look quaint and natural. Driveway is a type of private road for local access to one or a small group of structures, and is owned and maintained by an individual or group. Patio is an area of flat blocks of stone or concrete next to a house, where people can sit and relax or eat. 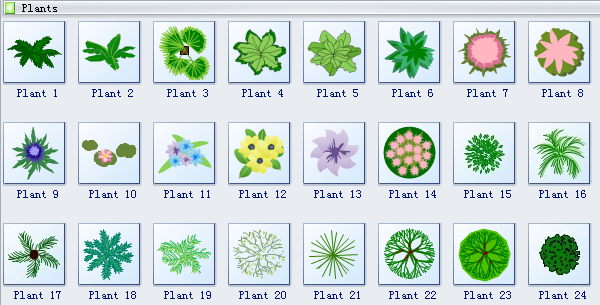 New garden design elements are added in the garden symbol library for the version 8. There are hundreds more to use now. They are perfect for landscape designs and garden plans. 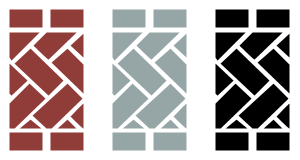 Need fresh looking garden design symbols for your design? These garden design symbols are a cinch to pop in. And their crisp, fine detail will make spectacular, easy-to-understand diagrams and presentations to your customers.